Pastor Lois Hildenbrand heard God’s call to Mingus View Presbyterian Church in April, 2017 and started as its Interim Pastor on November 1, 2017. Lois and her husband, Bert Lanstra, moved to the Valley in October 2017. They have four adult children and four grandchildren. 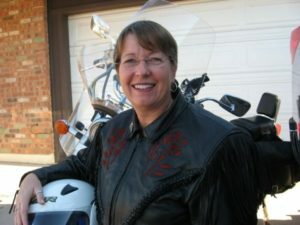 In addition to her love of providing pastoral care, Lois enjoys gardening, knitting, riding her motorcycle and harvesting God’s bounty to create Wild Alaskan jams and jellies. Pastor Lois is a former nurse. She worked in administration in many physician offices over the course of 10 years and at the University of Alaska Fairbanks Center for Health and Counseling for an additional 10 years. God called her to pastoral ministry in 2002. She completed Commissioned Lay Pastor training with the Presbytery of Yukon. 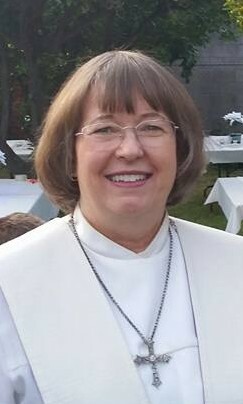 Lois served as Administrative Pastor at University Community Presbyterian Church in Fairbanks and as moderator for Atqasuk Chapel, a small Inupiaq congregation on the North Slope of Alaska, 60 miles southwest of Barrow. 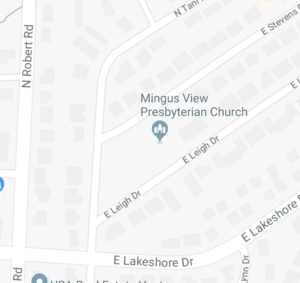 Lois has served as an Interim Pastor for New Hope Methodist-Presbyterian Church in North Pole, Alaska , First Presbyterian Church in Anchorage, Alaska, First Presbyterian Church in Mesa, Arizona and now at Mingus View Presbyterian Church in Prescott Valley, Arizona. Pastor Lois invites any and all to join the congregation as we worship and serve our sovereign triune God: Father, Son and Holy Spirit. God loves and welcomes everyone and so do we! Gathering around the word – a joyous time of song and greeting one another in the name of Christ, as well as preparing our hearts to receive the Word by confessing our sins. Proclaiming the word – readings from the Old & New Testaments, special music from our choir or soloists, and a sermon based on the Scripture. Responding to the word – we respond to the Good News of God’s word to us through our prayers and offerings. The sealing of the word – a benediction and blessings send us out. Bearing and following the word into the world – it is now our responsibility to take what we heard and live our lives to God’s glory. At Mingus View, we celebrate the Sacrament of Communion on the first Sunday of every month. All are welcome to the Lord’s table. Gluten-free bread and plain water are available for those unable to eat the traditional communion food.